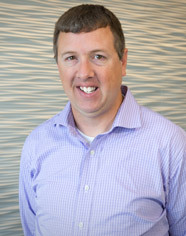 Scott is a tax manager with KBST&M with over 15 years of public accounting experience. Scott’s areas of concentration include tax preparation and planning services, and accounting services. He has worked with clients in a variety of industries, including manufacturing, professional services, construction, distribution services, restaurants, professional services, real estate, and retail. Scott works on a wide range of tax services that includes corporations, s-corporations, partnerships, individuals, trusts and estates, and non-profit organizations.